The K-80 Parcours is a defined by the World Famous K-80 action, by building on what was already such a great piece of engineering. Making a gun that could handle quickly and give you the perfect feel for fast targeting was the task set for the Parcours. "Designed with shooters for shooters." The Parcours has a new stock & forearm design. Slimmer and more fitted to your mounting position. The weight was a bit issue, and cutting down on the wood was the right answer. 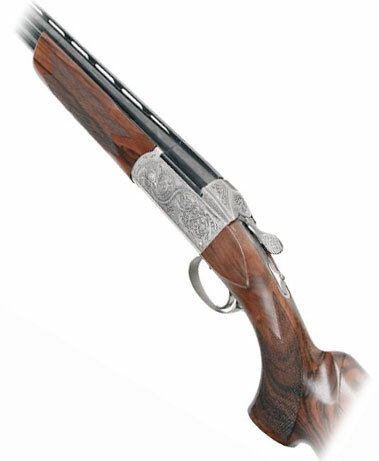 Each new K-80 comes with 10 years warranty and backed by our excellent Krieghoff Service, offering advice, service and repairs for the complete Krieghoff range. The K-80 Parcours has had a complete re-think on how the barrels are configured. First of all, you can notice the barrels are joined. The weight has been dramatically reduced and the soldered rib is flat to the barrel. They come in 32" as standard. They are also available in 30". Simply making a shorter version of the 32" barrels would have resulted in a stock heavy gun with no possibility of bringing the balance back. The 30" barrels are therefore completely redesigned to produce a barrel with the same balance and handling the original 32" is famous for. 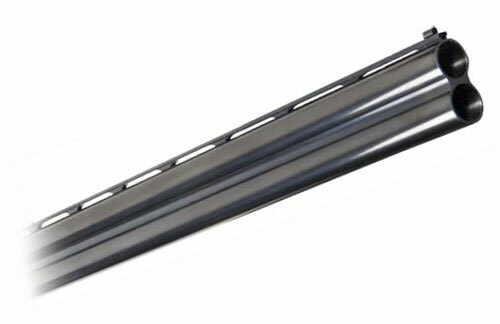 The 30" barrels for the K-80 Parcours are now available. The K-80 Parcours stock, available in varying grades of high grade walnut. The stock has a revamped stock in shape and design, allowing a welcome weight reduction. You can choose between non-adjustable or adjustable comb on the stock. Plus you have the option for a right or left handed stock. Barrel Length 30" / or / 32"
Although the Parcours stock height and dimensions are well liked and perfect for the majority, some of you have asked for an adjustable comb to enable you to add a little more height and tweak the cast. This is now available immediately and at no additional cost. That's correct, you can now specify the Parcours with an adjustable comb at the same price as the fixed comb stock. The Parcours was launched with 32" barrels and fixed chokes. Chokes bored 3/4 and Full but with any choking available on request. 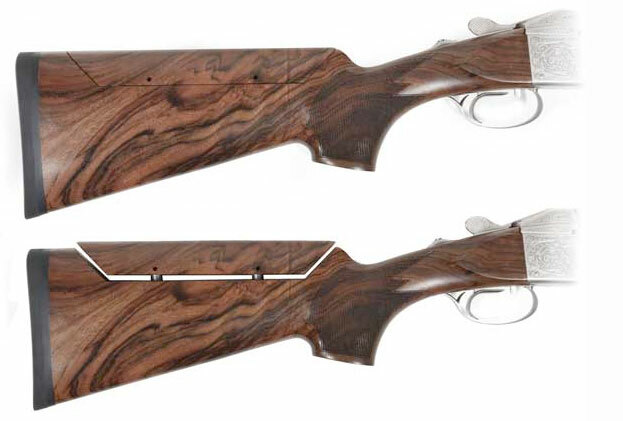 You can now specify the Parcours Barrels with Briley Choke System fitted at the Krieghoff factory. Every new Krieghoff K-80 Parcours comes with Teague Precison Chokes as standard, but you can specify Briley Chokes upon ordering. Both sets of choke tubes are exclusive to Krieghoff and only available from us. Parcours barrels fitted with Krieghoff/Briley choke system will be steel shot proofed and all choke tubes marked with the correct designation for both lead and steel shot. 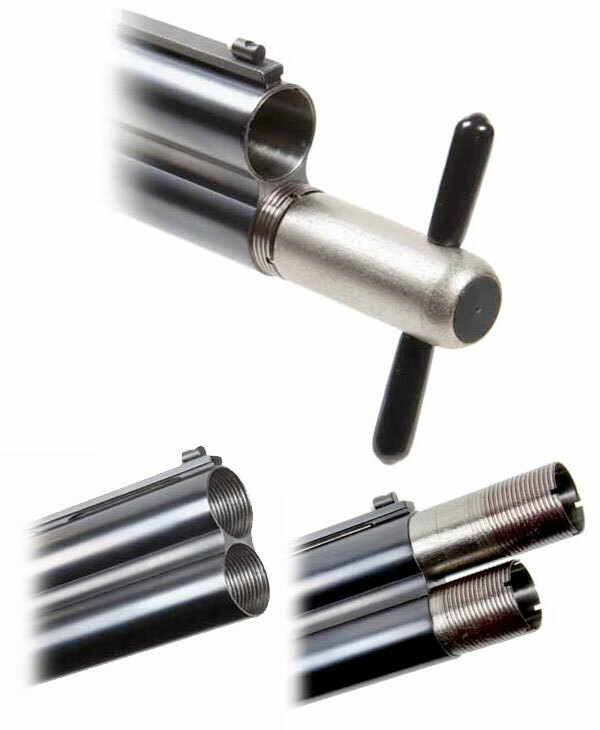 The Briley Choke System adds no weight to the barrels and handling and balance are identical to the fixed choke barrels. You can choose your 5 Chokes supplied with your gun upon ordering. K-80 Parcours Barrels are available in 30" (1,350g) and 32" (1,378g), available with the choice of Fixed Chokes or Briley Multi-Choke System upon ordering. Length of Pull 365mm / 14.37"
Length of Grip 96mm / 3.78"
Drop at Nose 36mm / 1.42"
Drop at Heel 48mm / 1.89"
Cast at Nose 4mm / 0.16"
Cast at Heel 6mm / 0.24"
Cast at Toe 9mm / 0.35"
To get an idea of what you can choose when buying a K-80, visit the Krieghoff Options section. 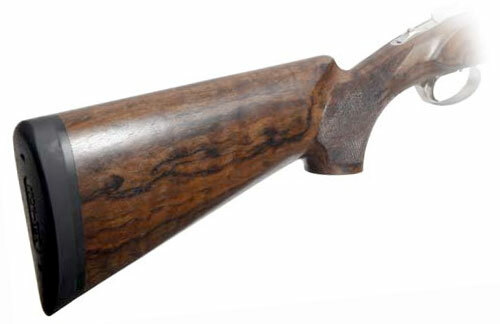 You can select barrel type and length, stock grade and engraving pattern.